Helical piles are suitable in areas with loose soil conditions, especially shorelines and beach fronts. When encountering poor soil conditions on a building site it may be necessary to transfer the building load to deeper more stable soils. Helical pier foundation systems have minimal ecological impact in sensitive areas such as wetlands, marshes, bogs, beach or lake fronts. It's the logical choice when designing nature trail footbridges and boardwalks. Foundation underpinning transfers the building load to stable soil. 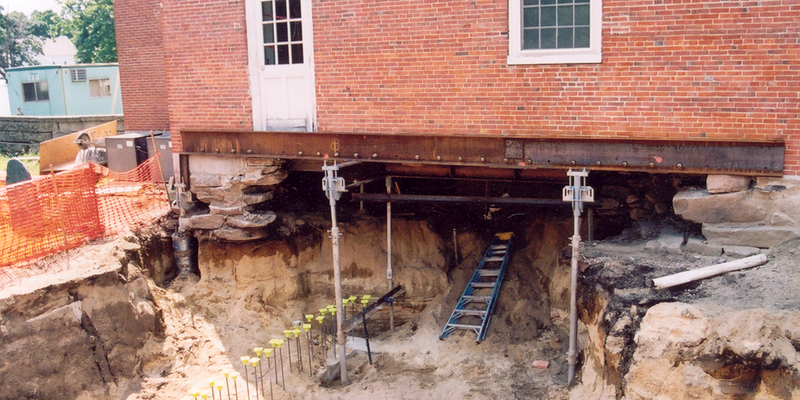 Underpinning with helical piles is used to help strengthen, stabilize, and level existing structures. Solid Earth Technologies is the premiere solution provider for environmentally-friendly structural support for residential, commercial and municipal construction. We are certified and highly qualified helical pile installers of the AB Chance Helical Pier Foundation System that stabilizes the foundation without damaging the existing structure. Our helical pier systems have pile applications for new construction, retaining walls, telecom towers, solar panels, parking/site lighting or any other structures requiring special foundation support in weak soil conditions. New construction piles are designed to support building loads for new structures being built in areas where soils are unstable. Underpinning with helical piles helps to stabilize existing foundations by preventing shifting and settling. 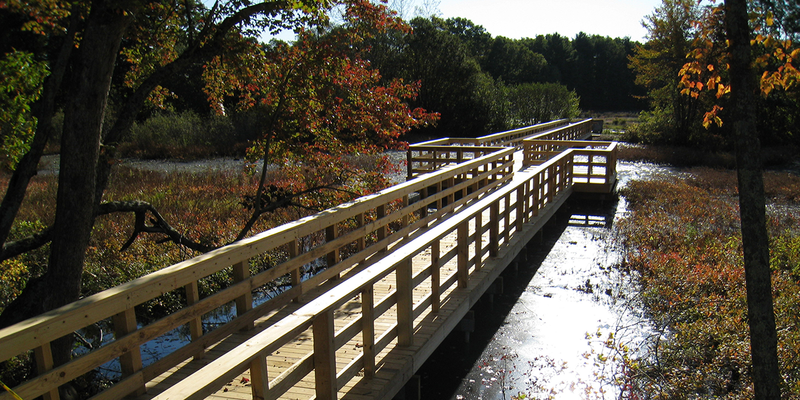 Helical pile systems are ideal for boardwalks in environmentally sensitive areas that require minimal disturbance to the ecosystem. 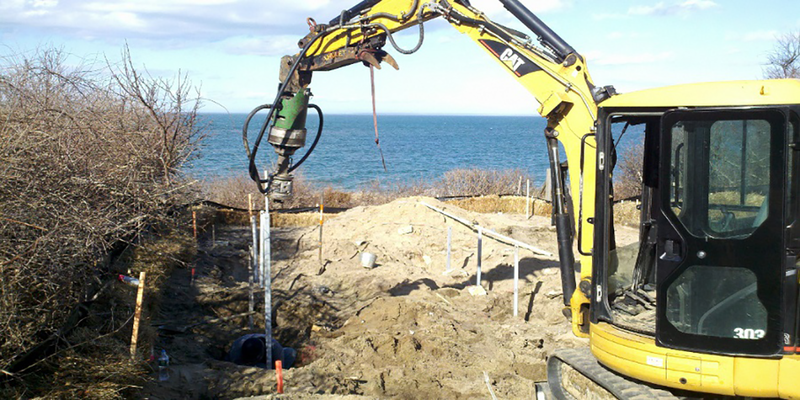 Solid Earth Technologies is one of the most accomplished and experienced helical pile installers in New England. Don't leave the success of your project in the hands of an inexperienced contractor. When your name is on the line, trust Solid Earth Technologies to make the earth stand still for the life of your project. Work with us, and we'll give you something to build on. We Make The Earth Stand Still.